All the nostalgia of a cozy stocking cap with a fluffy ball on top. 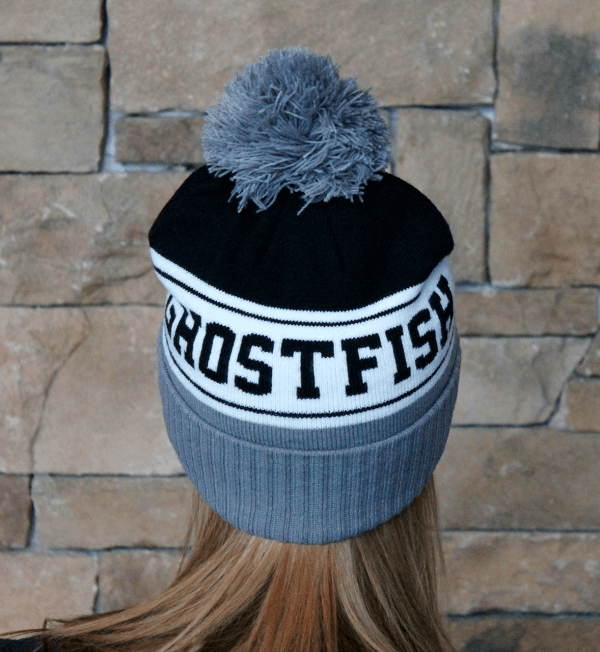 All the style of the Ghostfish logo and big block lettering and striping. Grey, black, and white because wintertime and monochrome go hand-in-hand. One size fits all.